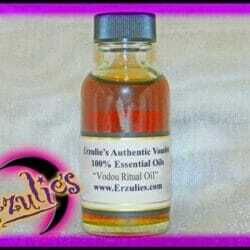 ingredients only Vodou initiates possess. 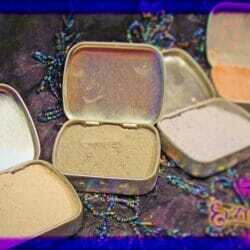 Rare Voodoo Spell Powder and Powerful Vodou Powders for Voodoo Spells, Lover Return Spells & Come-To-Me Love Spells! Rale Minin Vini is a powerful and rare Voodoo powder used in all lover return Voodoo spells, Voodoo lover come back spells, Voodoo love spells and reconciliation love spells. 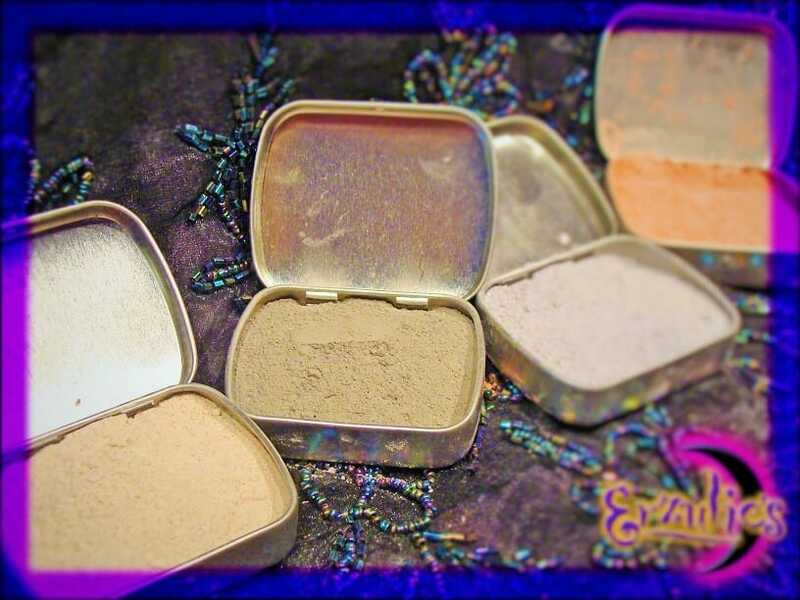 Bring your lover, spouse, or heart’s desire back with this rare and powerful Voodoo powder. 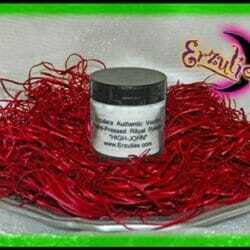 Works perfect with Envwa me Vwa Love Spells & Rituals Voodoo Powder. INSTRUCTIONS ARE NOT INCLUDED! These are for experienced practitioners. 1oz. Tin or Glass Jar of Powder. Erzulie’s, Inc. & Erzulie’s Voodoo ~ Copyright ©1998–2019. All rights reserved. We use USPS PRIORITY MAIL for all website orders. Most packages arrive in 5 to 10 business days after placing your order, as they are handcrafted. All orders arrive in discreet packaging with our company name as legally required. The store DOES NOT handle ANY shipping inquiries, you must email support@erzulies.com should you have any questions about your order. Thank you for taking the time to learn about the shipping process! Should anything break during shipping, you MUST FILE A CLAIM with USPS or local Post Office. We are NOT RESPONSIBLE for any damage caused by USPS and highly recommend you opt to pay the additional amount for insurance. Please email support@erzulies.com to learn how to remit the additional insurance fee. If your package is undeliverable, or you do not respond to the notice of delivery, or it is sent back to us due to an error in the address you provided on your order, you will receive a partial store credit only for the value of your order, less a 25% restocking fee and the shipping and handling fee. We are unable to incur the cost of the shipping & handling fees if your package is returned to us. We are happy to reship your unopened returned package when you remit the additional shipping and handling fee. Your order label is electronically processed via USPS within 1-7 business days from receipt of your order. Tracking info is remitted by USPS via email only. We handcraft the items and package for shipping; this could take 1 day to 10 business days depending upon your order. CUSTOM ORDERS can take a minimum of 5-21 business days to prepare. USPS accepts the package and scans receipt. USPS usually delivers within 2-10 business days excluding weekends or holidays. For more information, please visit www.USPS.com. We understand not everyone is comfortable with online payment systems, so Erzulie's is happy to accept mail orders if that is your preference! Please allow 6 to 8 weeks for processing and delivery of your INTERNATIONAL ORDER. We have no control over the CUSTOM LAWS in your country, nor are we able to contact them, so please check with them as to their procedures for international packages. The store does not handle any mail order inquiries. Should you have any questions, please email: support@erzulies.com for us to look into your mail order. We accept money orders or certified bank checks in USD only. Please make money order/bank check payable to: Erzulie's, Inc.
Make a list of the items you want and the prices. If any of the above information is missing, we will contact you. We understand not everyone is comfortable with online payment systems, so Erzulie's is happy to accept mail orders if that is your preference! Please allow 4 to 6 weeks for processing and delivery. The store does not handle any mail order inquiries. Should you have any questions, please email: support@erzulies.com for us to look into your mail order. We accept money orders or certified bank checks only. Need further assistance? Send us a message! Erzulie's practitioners personally respond to each message! Welcome! Here you can browse samples of actual clients' testimonials from the past 20+ years. They wanted to share their experiences of how Erzulie's Voodoo Spells, Psychic Readings and Spiritual Products have improved their situation, and in many cases, how the Divine Spirits have changed their lives! We selected a wide variety of experiences from the complete archive of thousands of testimonials since 1997. These are sorted by the last 10 years for your viewing convenience. Please use your side bar or touchscreen to scroll through the entire posting! Many Blessings! A sample of what our amazing client's have to say about working with Erzulie's! 2018 ~ "I've only been working with Anna and Erzulie's for a short time (less than six weeks) and have a lot to learn about Voodoo and its powers. So far, I've gotten consultations, ordered rituals, and purchased several products. What I do know quite a bit about, though, is professionalism, running a business, and providing high quality products and customer service, and it seems Anna has mastered these areas. I run a small business working in the healing profession, working with clients who are in the midst of personal crises and pain. Sometimes, these people have no one else to turn to for listening, to offer hope, support, to share their fears and doubts. It can be draining on the one who is offering help, and sometimes people hurt so much that they lose focus of boundaries with respect to your time and resources. So when I look at how responsive, patient, and sincerely caring Anna has been with me, and realize that she gives the same amount of energy and personal attention to each and every client of Erzulie's, I become overwhelmed. Anna is particularly gifted in that she offers me a vision of hope when I simply cannot see beyond the moment sometimes, so I know she does this for all her clients. But what makes that vision enduring is that she grounds her hopefulness in practicality and realism. You'll get no "pie in the sky" promises from her, only a straight-talking interpretation of the magic and spiritual nature of this religion called Voodoo. I find her manner so reassuring. I've ordered several products from the store: dolls, soaps, oils and bath kits. I have been consistently pleased with the high quality of everything I've received. After using the soaps for weeks now, I'm lamenting the fact that I've spent decades purchasing those mass-produced, commercial soaps which have no intrinsic value beyond that which the advertisements tell you to imagine they have. I am reminded every day now, when using the spirit-infused soaps and other products that I've purchased from Erzulie's, that everything has energy, everything has a spirit and is created with an intention. It's a blessing to have items available that are undoubtedly created with the intention of offering love, healing and spiritual advancement. During those times when fear and doubt creep in as I wait for the manifestation of my rituals, I have only to reflect on the powerful healing I've experienced when using Erzulie's products, because the products and services are from the same loving source. I'm looking forward to providing an update on the manifestation of my rituals. Until then, I'm convinced that Spirit is real, and so is Anna." 2017 ~ "I have bought Erzulies' products for about two years, and i just want to say, that it really works, i use the prosperity soaps and charms, and at the end of the day what i really prayed to the God's came true! Things are amazing and unfolding right before my eyes, it is truly amazing!" 2016 ~ "Last year I had a relationship that I couldn't let go, but we were facing such tremendous odds I never thought I'd hear from this person again. I ordered several spells to be cast for me by Anna & the practitioners at Erzulie's, I also performed my own spell work with the lover return and obstacle removing spell kits from Erzulies. Before Anna was done performing the spell work, my lover started contacting me again, and that was amazing since it had been months since we had contacted each other. Over time we have healed much of our old wounds, and we now have a much more stable relationship than I ever pictured possible a year ago. The spells were effective. The blessings that have unfolded are far beyond what money can buy. Thank you so much for working on my behalf. It brings peace to my heart knowing that I have your services available to me." G.J. At Erzulie's, serving your spiritual needs, insuring your spiritual safety and protecting your privacy are our highest priorities. We require client verification and confirmation of each spiritual service you order. This form is required for us to begin scheduling and preparing all rituals, spells and ceremonial services. Please submit one form for each ritual service ordered. Please submit once you have placed your order. Forms submitted without an order will be deleted. Please use one form PER RITUAL you ordered! Yes, I have read it carefully and understand how to best support my rituals. Yes, I understand Spirit manifests and aligns as possible for my situation. Yes, I am aware Spirit can reveal other areas that may need to be addressed within my situation. Yes, I am over 18. Yes, I do understand I am ordering a faith-based spiritual service. Yes, I agree to Erzulie's policies, terms and conditions. Yes, I have read the required ritual article before ordering. Yes, I am aware these are faith-based services provided on my behalf. Yes, I am aware I will be referred back to those resources with any additional questions already addressed there. Yes, I thoroughly understand what I am ordering. Yes, I understand the concepts of spiritual work and all possible outcomes. Yes, I give consent for Erzulie's to perform rituals on my behalf. Touchscreen enabled to sign this form. Yes, I understand I may need to send a photo of my valid ID for bank verification. If you need to add more, feel free to email webmistress@erzulies.com with additional photos. You must include the information on this form.